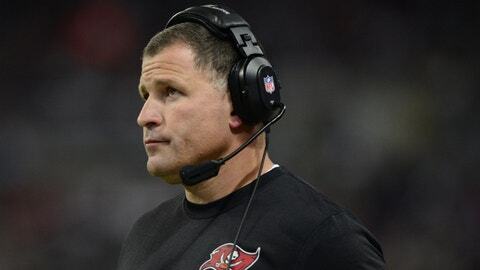 TAMPA, Fla. — Tampa Bay Buccaneers head coach Greg Schiano and general manager Mark Dominik were fired Monday after a tumultuous 4-12 season. The turmoil included a dramatic quarterback change from Josh Freeman to rookie Mike Glennon, a MRSA issue that involved three players, an 0-8 start, injuries to key contributors such as running back Doug Martin and wide receiver Mike Williams, plus a 1-4 record in December. Schiano, who arrived from Rutgers University with a reputation as a disciplinarian, finishes his Bucs career 11-21. Dominik, a long-time member of the Bucs’ pro personnel department, sees his career with Tampa Bay end after he was hired to replace Bruce Allen in January 2009. "The results over the past two years have not lived up to our standards, and we believe the time has come to find a new direction," Bucs co-chairman Bryan Glazer said in a statement. "Mark has been a valued member of our organization for two decades, and we respect the passion he showed for the Buccaneers during his time here. We thank Greg for his hard work and effort the past two seasons, but we feel these moves are necessary in order to achieve our goals." 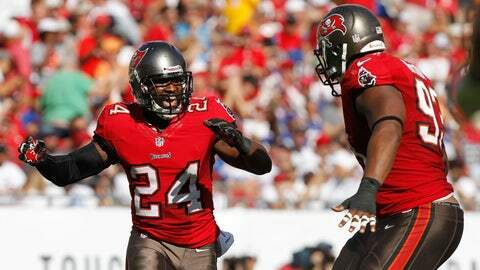 "I have appreciated my 19 seasons as a member of the Tampa Bay Buccaneers. During that time, Tampa has become home for me and my family. We have developed great relationships with many friends and fans …," Dominik said in a statement. "… I believe that this team is well positioned for success in the future and I would like to express my gratitude to the Glazer family for the opportunity they provided me nearly 20 years ago to grow and succeed in the NFL." Schiano, 47, was hired to create a disciplined environment following the loose Raheem Morris regime. However, controversy and whispers of tension often marked his time in Tampa. He started 6-4 in 2012, but there were few positive developments from there. The Bucs closed that year by losing five of their last six games, a stretch in which Freeman threw 10 interceptions. Questions about Schiano’s faith in the quarterback became more prevalent in the offseason, particularly when the coach seemed to welcome competition for the incumbent, a former 17th-overall pick who was selected under Dominik’s watch. Tampa Bay, however, entered Schiano’s second campaign with optimism. The Bucs made headlines by signing safety Dashon Goldson — a two-time Pro Bowl player — through free agency, and cornerback Darrelle Revis — then a four-time Pro Bowl player — via a trade with the New York Jets. Their porous pass defense, which allowed 297 yards per game in 2012, appeared strengthened enough to complement an offense that ranked ninth in the league with 24.3 points per game under Freeman, Martin and wide receiver Vincent Jackson. But the most recent season will be remembered for turmoil on and off the field. The trouble started with knowledge in August that kicker Lawrence Tynes, guard Carl Nicks and, in October, cornerback Johnthan Banks had contracted MRSA — a serious staph infection resistant to some antibiotics. Then Freeman, who entered with the potential to earn a rich extension in a contract year, was ineffective in three starts (two touchdowns and three interceptions). There were concerns about his commitment after he missed a team photo, a team meal and arrived late for the team bus before the Bucs’ Week 1 loss to the New York Jets. "That whole thing, that whole situation is a very, very tough situation," Schiano said Monday. "I don’t think there was any good way that was going to work unless it went the way that we thought it might go and that’s being very productive. When it didn’t, that’s a very tough situation." Eventually, Freeman was benched before Week 4 in favor of Glennon, a third-round pick from NC State. Freeman, after no shortage of drama that included the revelation he was a stage one participant in the NFL’s drug program, was released in October and later signed with the Minnesota Vikings. He only played one game there — a miserable performance against the New York Giants in Week 7 in which he completed 20 of 53 passes for 190 yards with one interception. Glennon, meanwhile, was inconsistent as Schiano’s clear choice at the position. He completed 247 of 416 passes for 2,608 yards with 19 touchdowns and nine interceptions. He led the Bucs to victories in four of five games from Weeks 10 through 14. But he wavered without help from an anemic running game, throwing six touchdowns to five interceptions in his last five starts. On Monday morning before the announcement was made, Bucs players carried on as if business were to continue as usual. A team meeting was held at about 10 a.m. at One Buc Place, and players arrived in the locker room about a half-hour later to clean their stalls. Schiano said he awoke Monday expecting to coach in 2014, but the move wasn’t a complete surprise to him. "I think I’d be a naive to be stunned, right?" Schiano said. "We ended up 4-12 and (there was) speculation all year long, so ‘stunned’ isn’t the word. But I woke up this morning full expecting to plow ahead, and I was actually looking forward to get this week through and take a short break and get back at it." All players available Monday morning said exit interviews were conducted normally, with no hint that a move was about to be made. 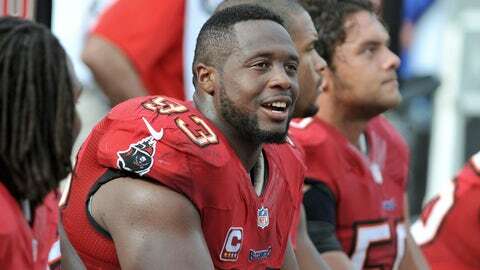 "At times like that, you’ll see a lot of guys crumble, a lot of guys break," defensive tackle Gerald McCoy said of Schiano throughout the season. "You never saw a different attitude with him." Still, there were admissions that this season was a strain. McCoy said the Bucs were "beat down" mentally and physically. Others were affected as well. "When you lose games," linebacker Jonathan Casillas said, "it feels like nothing’s right." Losing has become habit for a once-proud franchise, now 11 years removed from its lone Super Bowl title. The Bucs have produced losing seasons in four of their past five campaigns. They have not appeared in the postseason since 2007. "This year, we had tough times," linebacker Lavonte David said. "We had adversity a lot this year. But everybody stuck through together and fought through it." Clearly, the current direction was worrisome to the Glazers, who must hire their third coach since Jon Gruden was fired after the 2008 season following seven years. The departure from Dominik means a complete overhaul in Tampa Bay, a necessary result, in their minds, to move past a forgettable 2013. "I think we’re leaving behind a football team better than when we got here," Schiano said. "I think we’re leaving behind a culture that this city really wants — and more than this city, this whole Tampa Bay area. I love it here. It’s a great place. We’ve been accepted, the kids and everybody. I thank everybody for that. I really do. I think it’s going to be fun to be a Buccaneers fan moving forward."